* If you are using adjustable dumbbells, the largest plates allowed are standard-sized 10-lb. (5 kg) metal change plates (9 inches in diameter). When the dumbbell is at rest, the bottom of the handle cannot be more than 4 inches off the ground. Any athlete using an unconventional or unmarked dumbbell will need to confirm the weight of the dumbbell on a scale and clearly show the height of the handle with a ruler or measuring tape in his or her video submission. Kettlebells, fat bells or other non-traditional dumbbells are not allowed. † The official weight is in pounds. For your convenience, the minimum acceptable weights in kilograms are 22.5 kg (50 lb. ), 15 kg (35 lb. ), 10 kg (20 lb.) and 5 kg (10 lb.). Athletes lifting with kg plates will need to convert their weight to pounds prior to submitting. Prior to starting, film the dumbbells, barbell and plates to be used so the loads can be seen clearly. Before or after each lift, the athlete must state the weight and show the plates used. 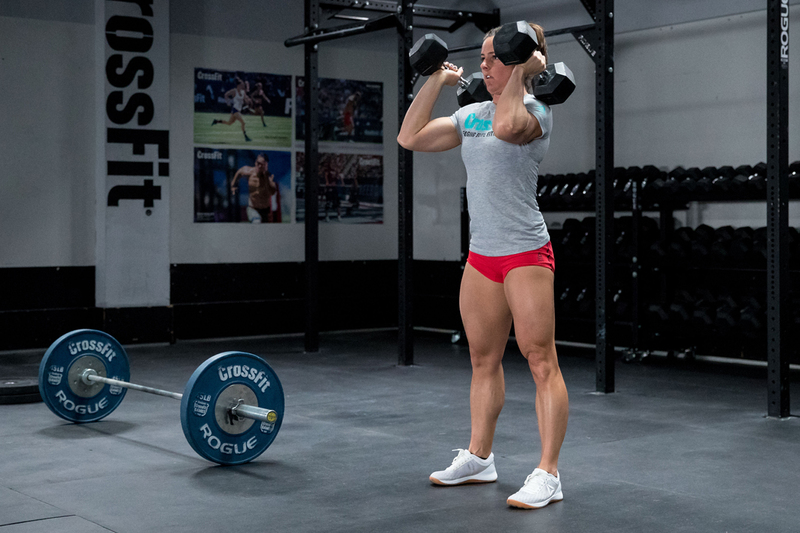 At the end of the workout, film the barbell being unloaded, and show the weight of the plates in order to clarify the actual heaviest load lifted. All video submissions should be uncut and unedited in order to accurately display the performance. A clock or timer, with the running workout time clearly visible, should be in the frame throughout the entire workout. Shoot the video from an angle so all exercises can be clearly seen meeting the movement standards. Videos shot with a fisheye lens or similar lens may be rejected due to the visual distortion these lenses cause. For the dumbbell squats, the rep begins from the top, with knees and hips extended and dumbbells on the shoulders. A muscle clean into a squat is allowed. The dumbbells must be held on the shoulders. There is no requirement to maintain a grip on the dumbbell the entire time. At the bottom of the squat, the hip crease must pass below the knees. At the top, the hips and knees must be fully extended. Only one pair of dumbbells may be used. 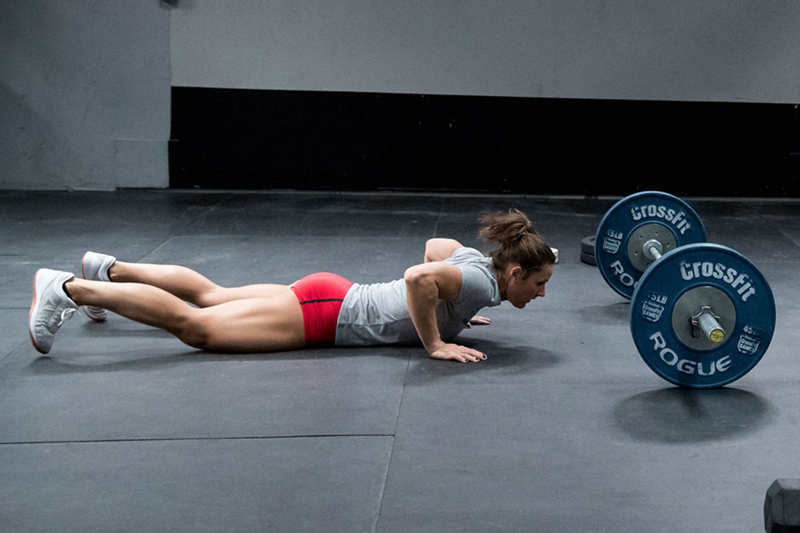 The burpee must be performed perpendicular to and facing the barbell. The athlete will jump the feet back so that he or she is lying on the ground. The athlete’s head cannot be over the barbell. The chest and thighs touch the ground at the bottom. 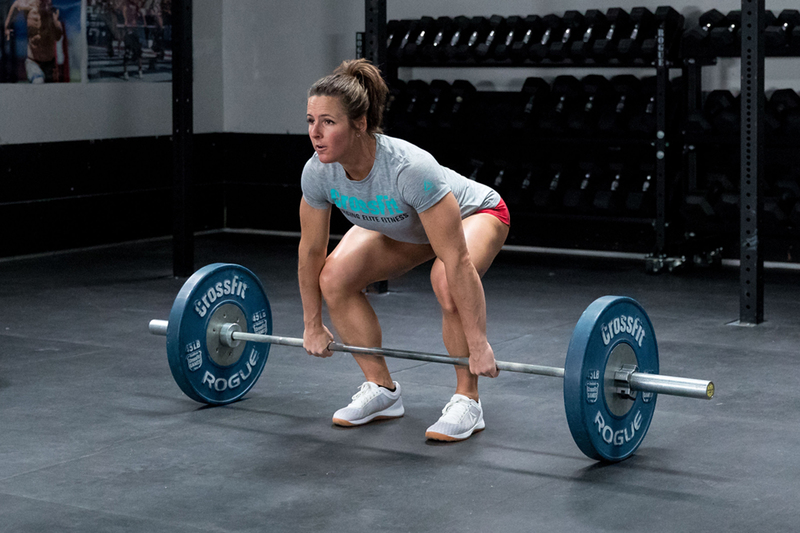 The athlete must jump over the barbell from both feet and land on both feet. Single-legged jumping or stepping over is not permitted (scaled divisions excluded). The barbell must be loaded with standard-height bumper plates for the athlete to jump over (scaled masters excluded). 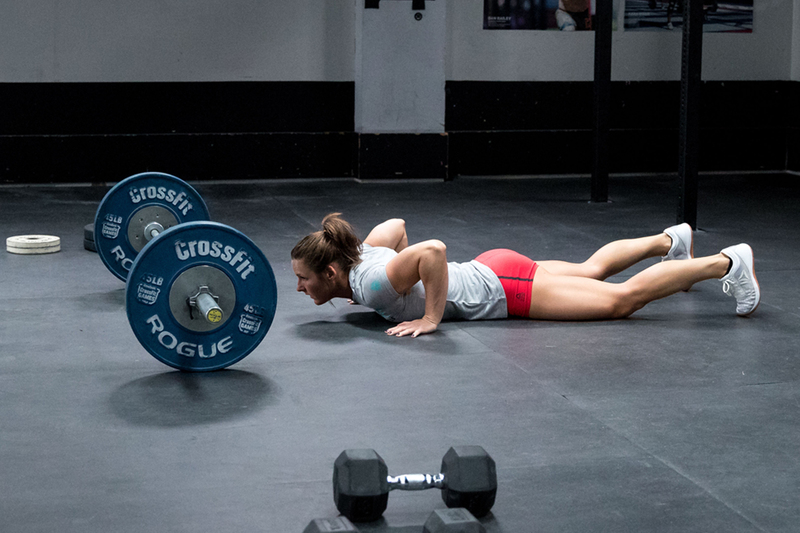 The rep ends when the athlete lands on both feet on the opposite side of the barbell. 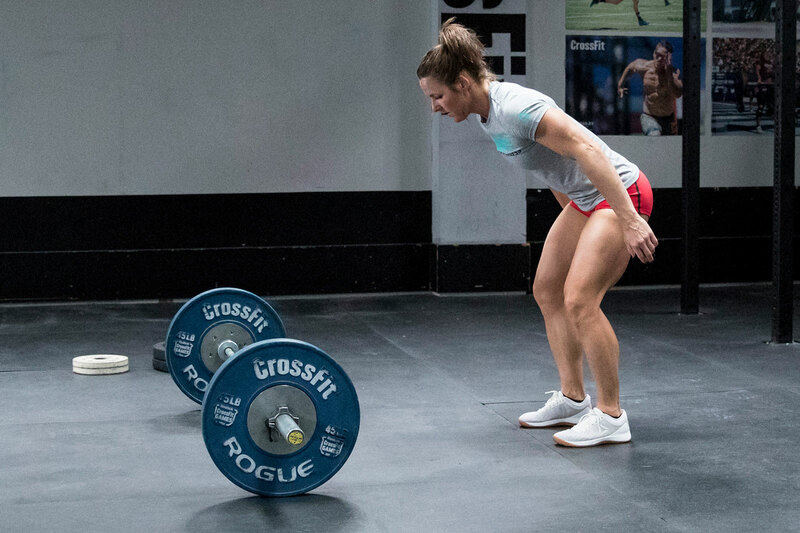 Before starting the next rep, the athlete must again be facing the barbell. Using a two-foot jump, the feet must move back and forth together in the burpee. NOTE: Unless the athlete is performing the workout scaled, he or she may NOT step backward or forward one foot at a time when lowering and raising to and from the ground. On the way down, the athlete must jump both feet back simultaneously. On the way up, the athlete must jump both feet forward simultaneously. Stepping back and/or stepping up is permitted for athletes in the scaled divisions only. 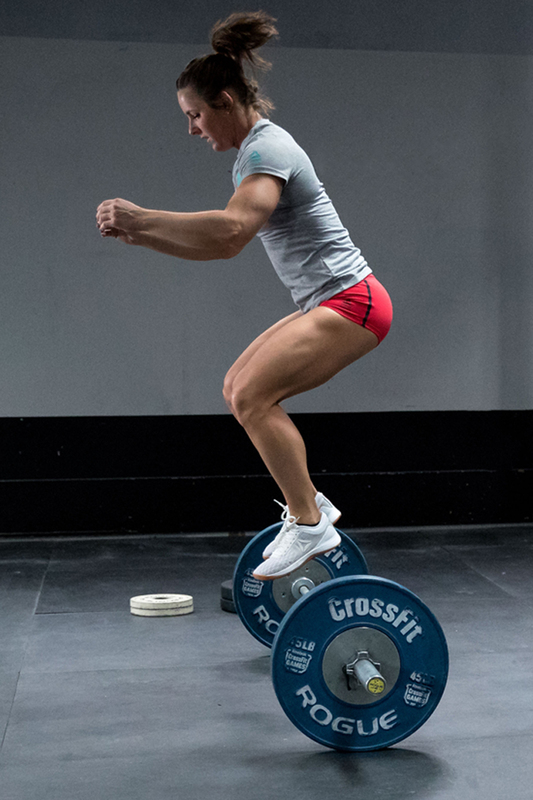 Scaled athletes may also choose to step over the barbell instead of jumping. The barbell begins on the ground for the clean. 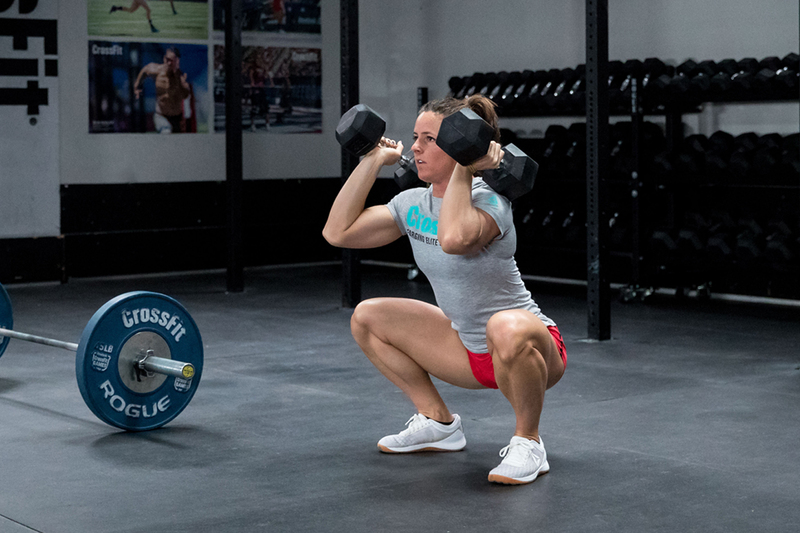 The rep is complete when the athlete’s hips and knees are fully extended and the bar is resting on the shoulders in the front-rack position with the athlete’s elbows in front of the bar. Power cleans, squat cleans and split cleans are permitted. Hang cleans are not permitted.